Change the color as you like.This customized NBA basketball bobblehead will be a big hit when you show it up. 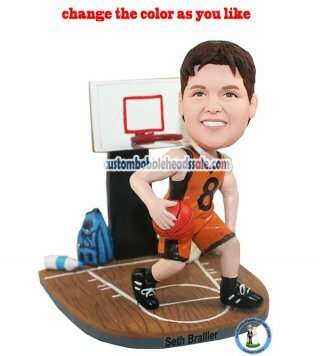 For it’s not only a bobblehead but also a scene of basketball court.In this item, details like bag, towel and drink are all included at the side of the court. Not to mention the cool dribbing pose of the doll.All this contribution makes the gift more realistic and subtle. Order it now!